As adhering to a good diet propensities keep on taking the nation by tempest, the New York City state funded educational system has as of late made waves by supplanting some of their Kellogg's image grains with a more advantageous option. Back to the Roots mark oat, which is made by a little organization from California, will have Kellogg's spot on school breakfast plate around the city. The New York City government funded educational system is one of the biggest educational systems in the country, and region authorities report that nearly 254,000 youngsters have breakfast at a NYC school each day. A year ago, Kellogg's ended a few sorts of their Kashi image oat. Two of these Kashi grains had been included on the government funded educational system's menus, inciting the requirement for substitution. 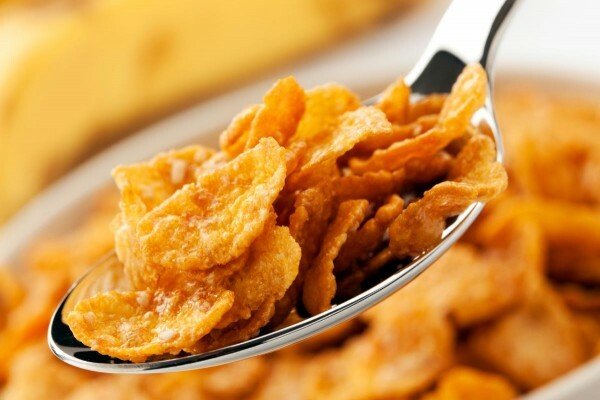 Kashi has regularly been promoted as Kellogg's "more advantageous" grain alternative. Kashi, obviously, is truly anything besides solid and the brand has experienced harsh criticism in the past for their deceptive marking practices and utilization of sketchy fixings. For instance, in 2015, it was found that their grains contained abnormal amounts of glyphosate, and past research found that they utilized GMO soy fixings in their "GoLean" line of oats. As opposed to just pick some different items off of Kellogg's limitless line of oats, school authorities chose to hold a taste testing highlighting new brands. Eventually, Back to the Roots was picked as the top choice, even by understudies. Even better, the recently picked grain organization brags bring down measures of sugar and sodium, and also less calories in general, than any oat by Kellogg's. The new brand is additionally free from additives, contains no falsely included vitamins, and the majority of its oats are affirmed natural. For a breakfast oat, which are famously handled, that is a really decent rap sheet. Eric Goldstein, the CEO of the Office of School Support Services, disclosed to The New York Times, "Breakfast is truly critical to us, and we're attempting to get our menu to where we need it to be. On the planet we live in, however, there are such a large number of imperatives, so having the capacity to offer Back to the Roots oats for us resembles a much needed refresher." The decision to change far from Kellogg's was likewise determined by mounting weight from Congress, the state, and guardians. The interest for schools to settle on better decisions about their school nourishment projects is absolutely high, there are no questions about that. Lamentably, just two sorts of oat on the area's state funded school menus are being supplanted. The educational system will in any case be putting forth ordinary decisions from any semblance of General Mills, Post Foods and even Kellogg's. In any case, school managers do like themselves for offering no less than a couple of more advantageous decisions. However little the move may appear, it gives the idea that Kellogg's can't generally stand to take any more monetary hits. The organization's stock has for all intents and purposes been in free-fall, and the organization has everything except demolished their workforce. In February of this current year, Kellogg's declared that they would quit for the day appropriation focuses and laying off roughly 1,000 workers. Monstrous reductions had as of now been reported in January, alongside the terminating of 250 representatives — making the February declaration all the all the more disturbing. Breitbart reports that these reductions were declared after the grain organization straightforwardly chose to cut publicizing with Breitbart News toward the finish of 2016. In November, Kellogg's had said that Breitbart's preservationist perusers were not "adjusted to [their] values as an organization." Apparently, the news outlet's 45 million perusers heard this message noisy and clear, the same number of joined boycotting endeavors against the oat mammoth. Littler organizations that are putting forth elective, sound items will keep on making their way into the standard and collect more support — particularly if nourishment goliaths like Kellogg's keep on dropping the ball.